This butternut kale quinoa salad is a healthful and wholesome salad. The spices of the roasted butternut flavor shine through, the pepitas give it some crunch and I absolutely adore the sweetness of the raisins and dried cranberries. The whole thing tastes like fall. I can hardly believe it’s already October. I want to know what happened to September. Vaguely do I remember the school year beginning, my birthday and my daughter’s first homecoming… but that’s about it. Everything else was a whirlwind of blur. I don’t like it. I do love fall though! 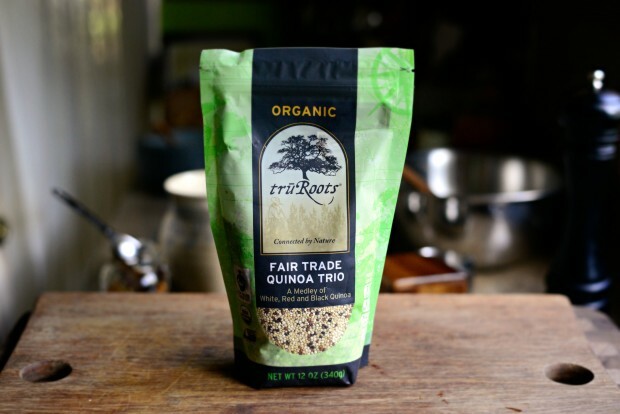 And of course when the first day of October hits it’s time to celebrate Fair Trade Month! This is my 3rd (2012, 2013) year celebrating with you guys, I took last year off because I was waste deep in butter, flour and dirty dishes- writing and eating my way through the cookbook. I bought the cutest butternut squash at the store the other day. I should have weighed it, but if I had to guess… it’s be about 2 pounds. 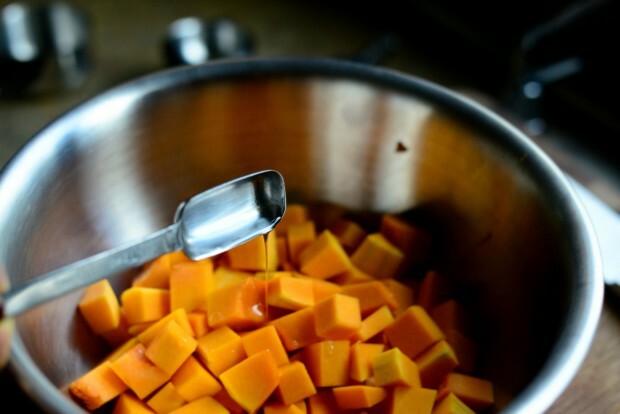 You need 4 cups of cubed butternuts so just eyeball it. 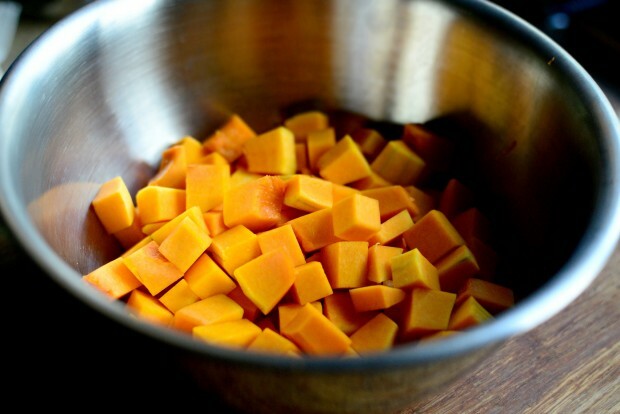 Add the butternut squash to a large bowl. Drizzle in 1 tablespoon sunflower oil. Coconut oil would work well here too! Then add in 1 tablespoon dark brown sugar, 1 teaspoon smoked paprika, 3/4 teaspoon cumin, ground coriander and kosher salt. 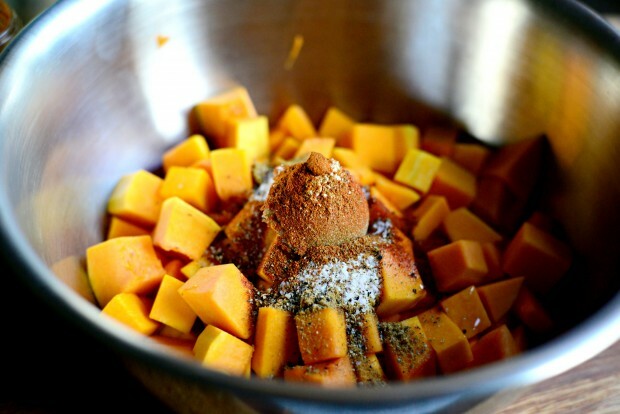 1/4 teaspoon black pepper and 1/8 teaspoon ground nutmeg (found in your goody box!) and cayenne pepper. 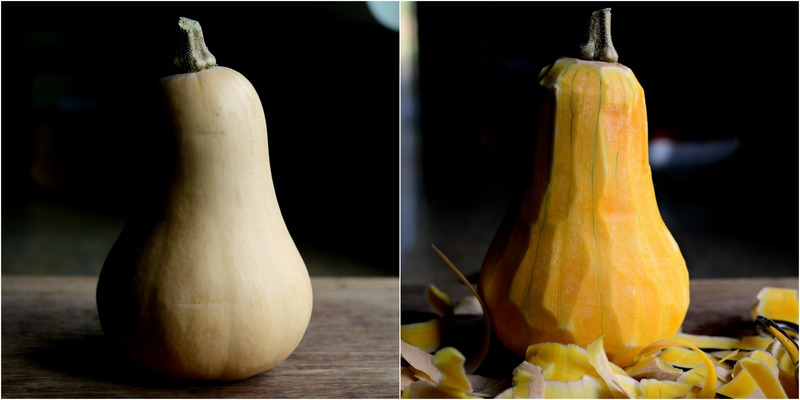 Toss that all together until the squash is coated evenly. Spread the squash out on a rimmed sheet pan and slide it into a preheated 400 degree oven for 20 minutes or until fork tender. 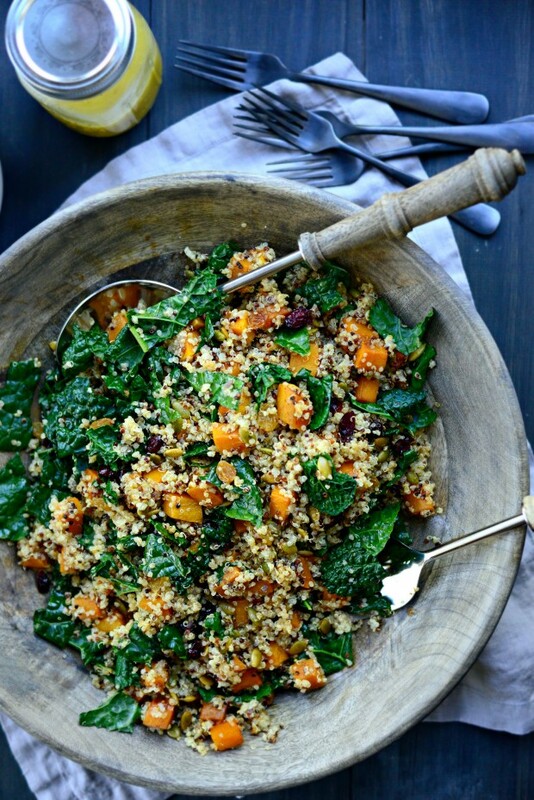 While the squash pieces are roasting I get on the dressing and quinoa. 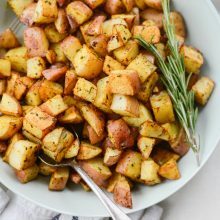 The dressing is 1 tablespoon whole grain Dijon, 2 tablespoons honey, 1/4 cup cider vinegar, 2 tablespoons fresh lemon juice, 2 tablespoons white wine vinegar, 1/2 teaspoon kosher salt and 1/4 teaspoon freshly ground black pepper. Shake and you’re good to go. Also prepare 1 cup dried quinoa as directed on the package. 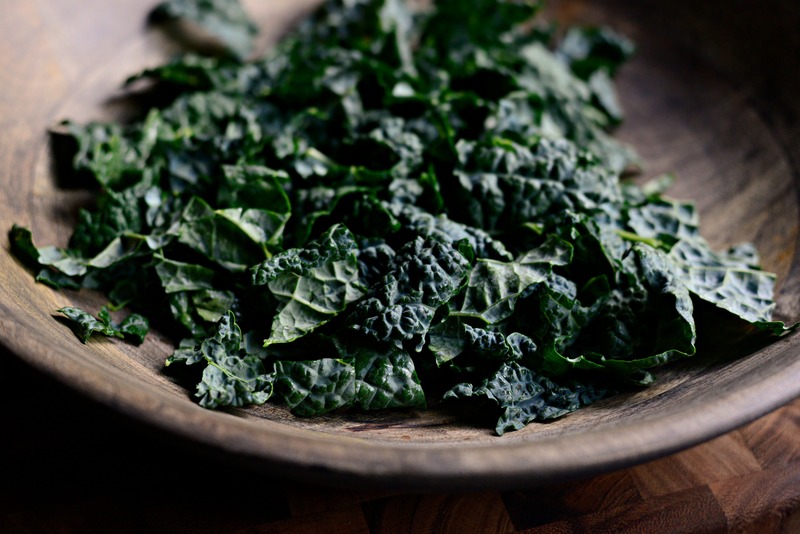 Strip the leaves from the stems of 1 bunch lacinato kale, rinse and spin or pat dry, then coarsely chop. You’ll need about 2 cups. 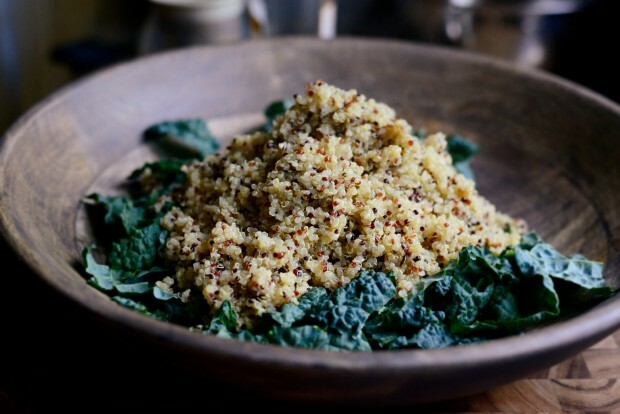 Add the hot quinoa over top of the chopped kale. 1/3 cup roasted (unsalted) pumpkin seeds. 1/2 cup combination of yellow raisins and dried cranberries. Season with a generous pinch (or two) of kosher salt and a few turns of freshly ground black pepper before tossing to combine. Serve warm with about 1/4 cup of the dressing drizzled over top. Now meet Isabel Uriarte Latorre, a coffee farmer and member of the CECANOR cooperative in Peru. Isabel, 58, from Cajamarca, CECANOR’s Finance and Commerce Manager, checks the coffee plants of a local Agua Azul member. Isabel has been involved in social justice movements in her native Peru since the 1970’s. And also having been part of a student movement and later numerous labor unions. She is one of the founders of CECANOR and developed the revolutionary Cafe Femenino, a select brand of coffee made only by women. She states: “The purpose of Cafe Femenino is to make visible the contribution women make not only to the household economy, but the community and to the umbrella organization CECANOR. It also aids in providing women the same opportunities and respect in these mentioned spaces. 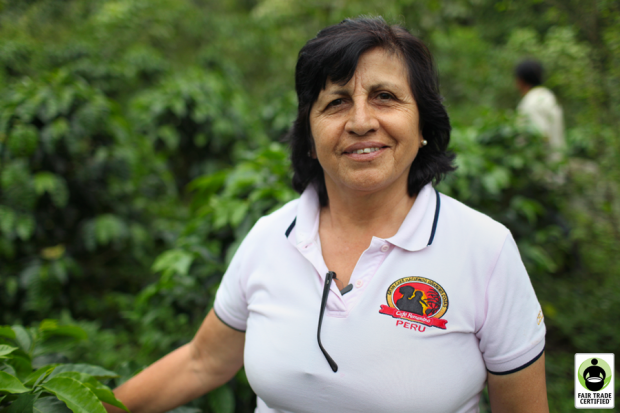 By doing so, women gain confidence, status, are protected from marginalization and it even motivates them to develop new ventures.” When asked about the advantages of being certified by Fair Trade, Isabel explains: “The certification and subsequent prize money is vital for our success. It allows us to provide rural coffee growers a steady price that sets a solid base for economic budgeting both at the family and community levels. In addition, positive results turn into incentives for the growers to produce higher quality coffee, and many are also seeing the positive aspects of organic farming – economically and health wise.” Cafe Femenino currently has 645 producers. You can read more about Isabel here. Enter the fields below and you’re entered at a chance to win some excellent goodies like the ones below! 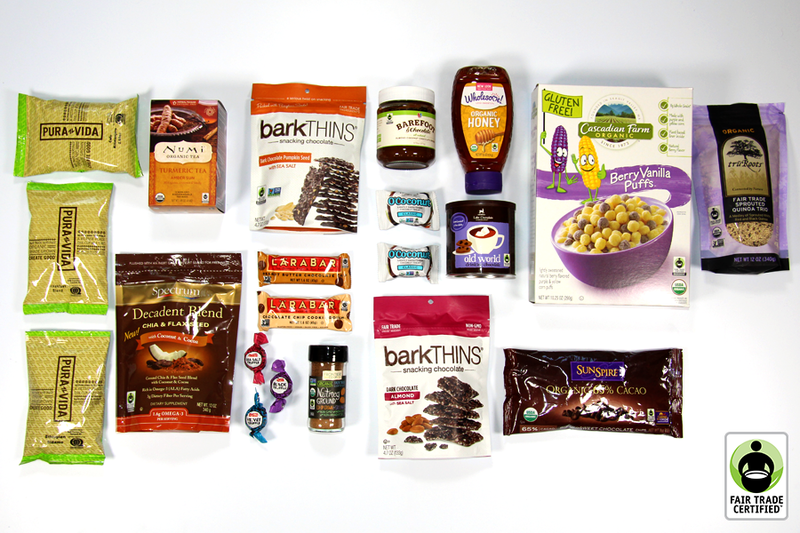 A huge THANK YOU to all the brands that have graciously donated these amazing products! The kale and quinoa round out and bulk up this healthful, wholesome salad. 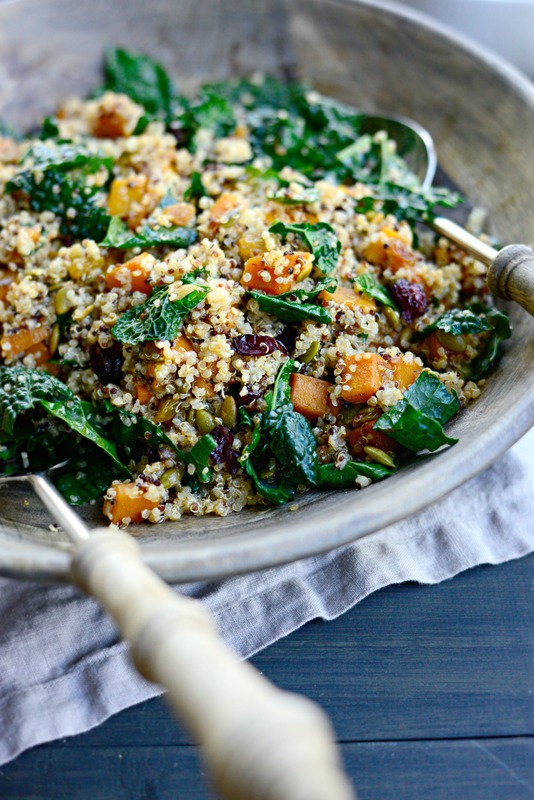 The spices of the roasted butternut flavor shine through, the pepitas give it some crunch and I absolutely adore the sweetness of the raisins and dried cranberries. The whole thing tastes like fall. 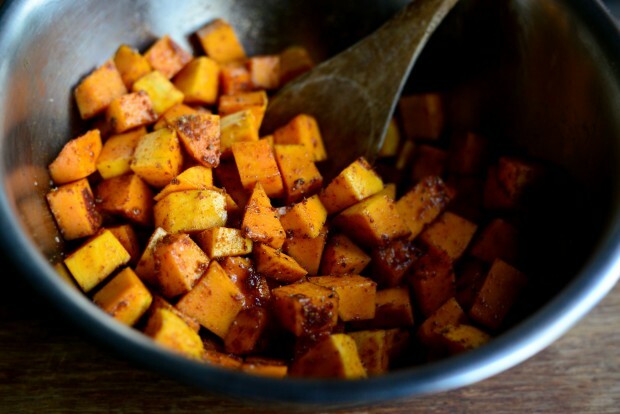 Toss the cubed butternut squash in the oil, sugar, paprika, salt, coriander, cumin, black pepper, nutmeg and cayenne. 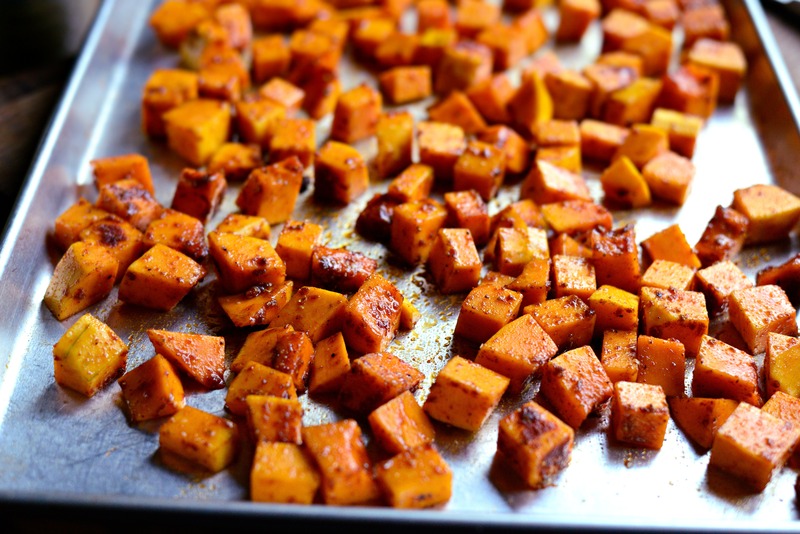 Spread out evenly onto a rimmed sheet pan and bake for 20 minutes. No need to toss, just rotate the pan halfway through. Meanwhile make the dressing. 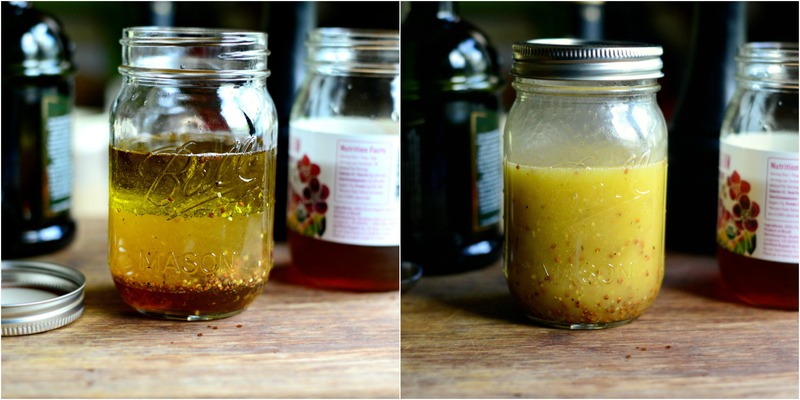 In a glass jar combine the mustard, honey, vinegars, lemon juice, salt and pepper. Add in the oil, secure the lid and shake well. 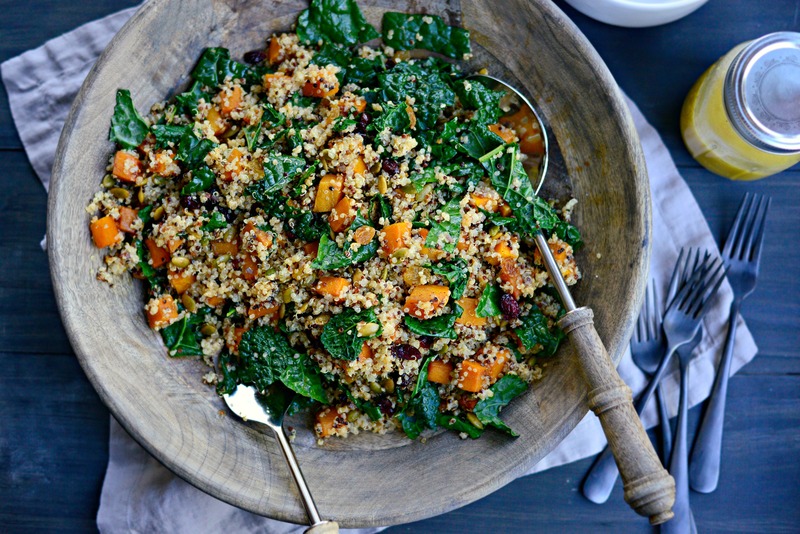 In a large salad bowl add the chopped kale, cooked (warm) quinoa, roasted butternut squash, pepitas, dried cranberries and raisins. Season with a pinch or two of kosher salt and freshly ground black pepper. Drizzle with 1/4 cup of the dressing or more to taste. Serve warm. 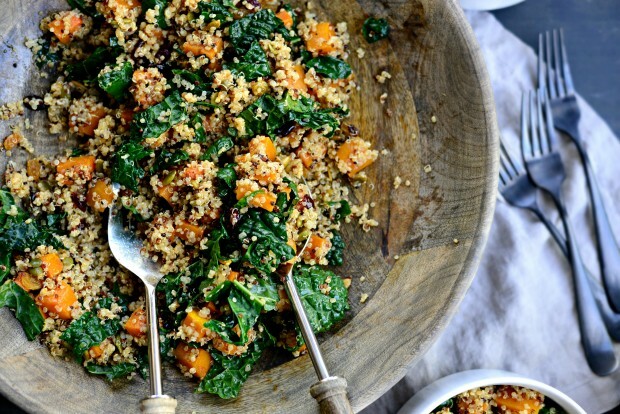 this kale salad sounds wonderful! I always make the weirdest salads – whatever I have on hand. 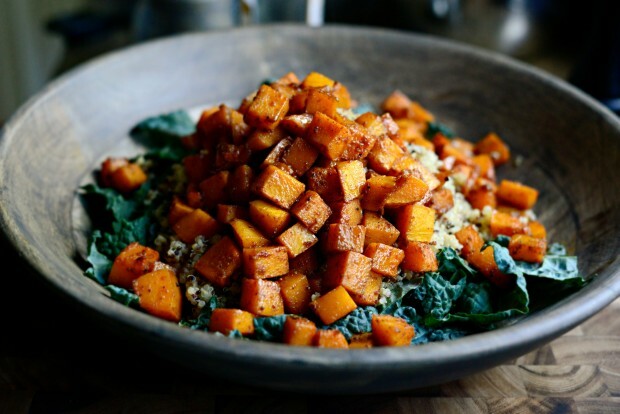 But my favorite would be kale based with roasted sweet potatoes, broccoli, and cauliflower, with charred corn, some sort of grain, really great quality parm, and some sunflower seeds with a homemade dijon vinaigrette! I hardly ever make salads, I should start! But, I love getting salads from restaurants. I think my favorite is a BBQ chicken salad with corn. I can’t wait to try this salad! Looks delish! I like making salads that are solely kale, feta, and almonds. 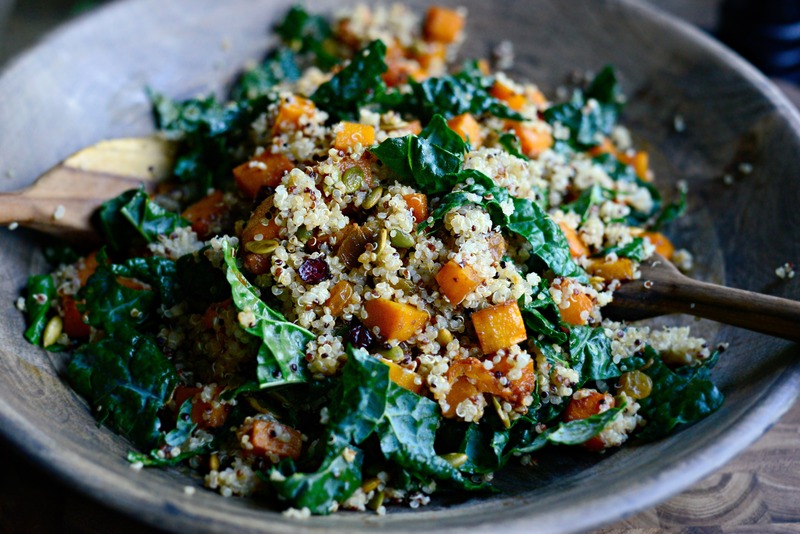 I like kale with quinoa and almonds. I love quinoa and this recipe sounds delicious – will be trying it soon! My favorite salad is apples, grapes, bananas, pecans, and a sweet/sour mayo dressing. Love apples, raisins, toasted pecans! I love my salads really crunchy, lots of veggies, cheese, sunflower seeds, yum! 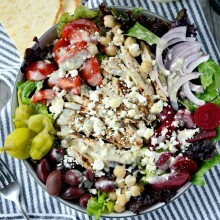 I love spinach salads with cranberries, feta and chicken! I love field green salads with pears, blue cheese and spiced pecans. 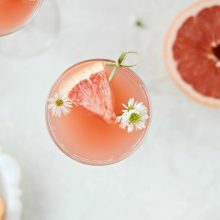 Thank you for the recipe and the chance at the giveaway. Oh… and my favorite salads usually are made with leftovers in the fridge. I’m often amazed by how delicious they are. 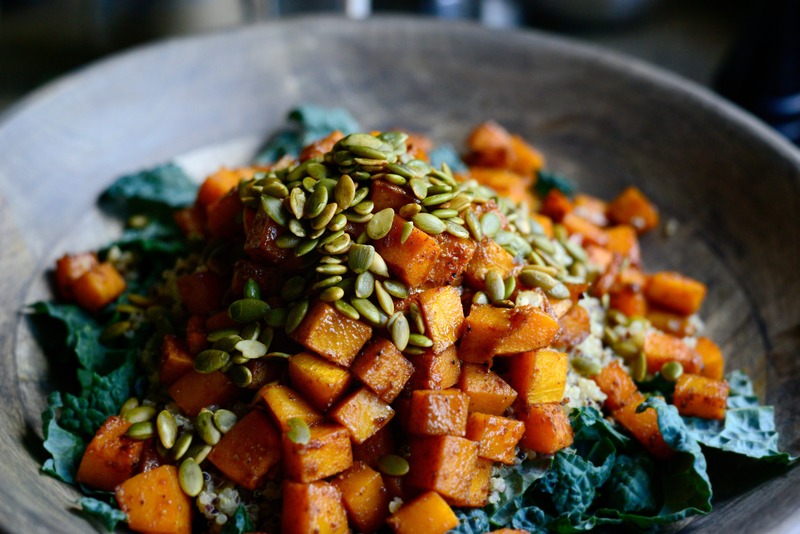 This looks delicious and perfect for the fall! I am really into roasted beets, arugula, goat cheese, and balsamic salads. Yum-O! 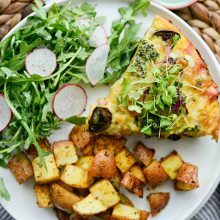 I don’t have any one fav, but I like to use different vegetables and fruits and nuts along with nice lettuces, sometimes cheese and other regular ingredients. I love using nice oils like walnut, and sometimes a touch of roasted hazelnut oil, and a good vinegar. Sometimes I like to add grains like cooked barley, spelt, kasha. I love spring greens, shredded beets and walnuts! I love green salads with shrimp and/or fake crab!!! This salad looks wonderful! I make the homemade condensed soups all the time and freeze them. 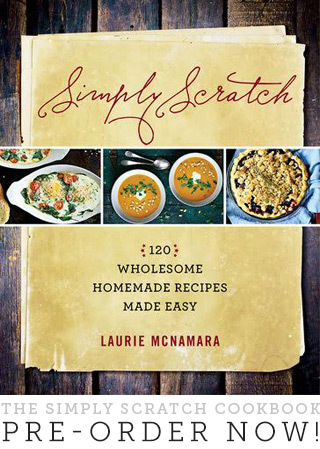 Thank you for all your wonderful scratch recipes. Anything with feta, feta and more feta!! Feta, pine nuts, sun dried tomatoes in spinach mix. Love a Nicoise Salad with lots of olives, and red peppers. Today I had romaine with avocado, grapes, turkey, and Berry Apple Cider Vinegar dressing. It was good! I love Caesar salad with homemade croutons! Apple walnut salad is my favorite! I love a nicoise! Crisp green beans, anchovies, tuna and boiled eggs? I’m in. I made this tonight! So good! It was very forgiving too, since I had to substitute some ingredients. Too lazy to get to the store!! I used toasted pine nuts instead of pumpkin seeds, and currants instead of the the raisins and cranberries. The squash and kale were straight from the garden. What a great recipe! I am really looking forward to your cookbook. Fresh garden tomatoes and cucumbers, red onion, feta cheese, olive oil, lemon juice, balsamic vinegar, salt and peppper. I recently had a wonderful salad with pecans, cranberries, and mandarin oranges, it was delicious!!! Love anything with poppy seed dressing! this salad is the prettiest form of autumn! 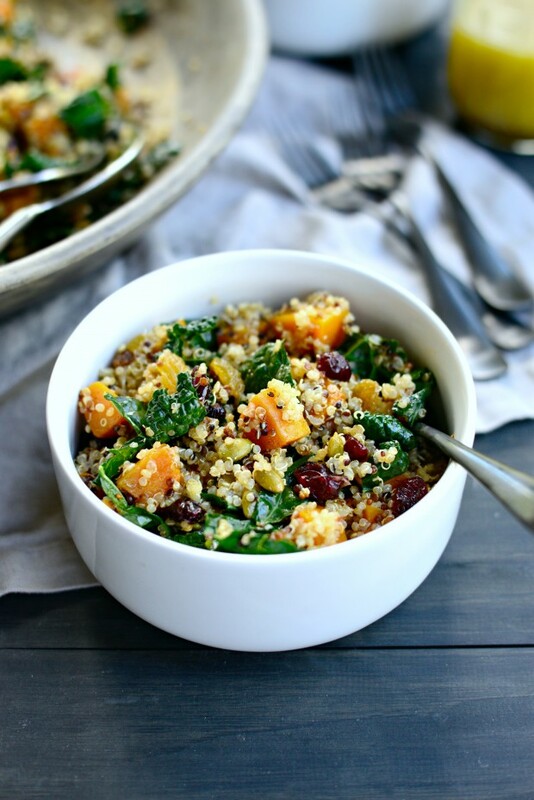 and squash + hearty greens is truly one of my favorite combinations. 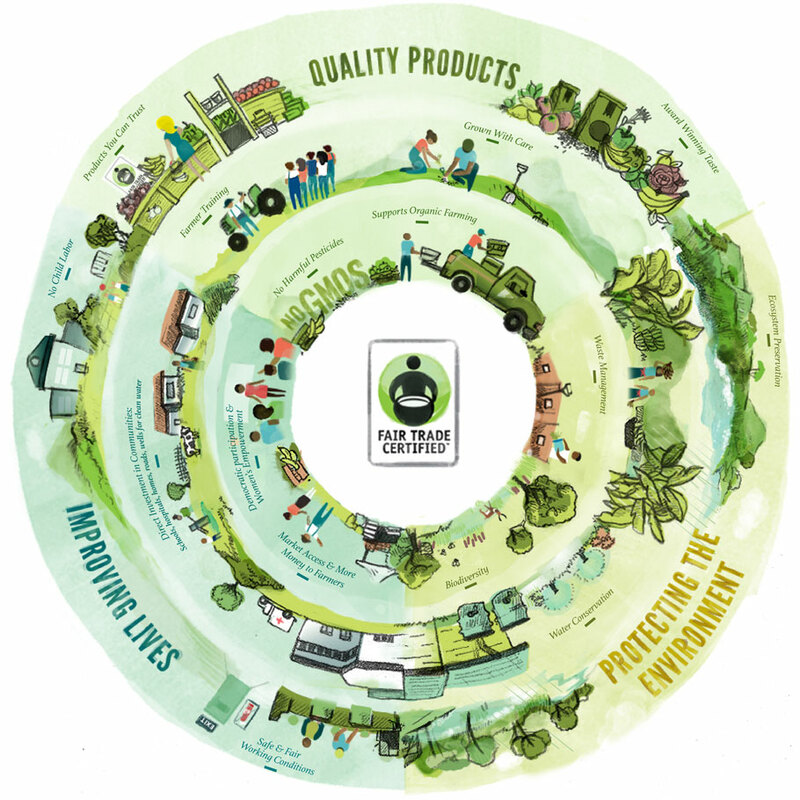 thanks for spreading the fair trade word, we’re all in this together! I love any kind of salad, but love spinach with warm bacon dressing. yummy. 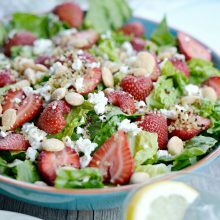 My favorite salad has blue cheese, walnuts and strawberries. Hello! We tried your recipe this evening and it was amazing. Thank you for sharing! Cobb salad- mostly for the avocado and blue cheese! 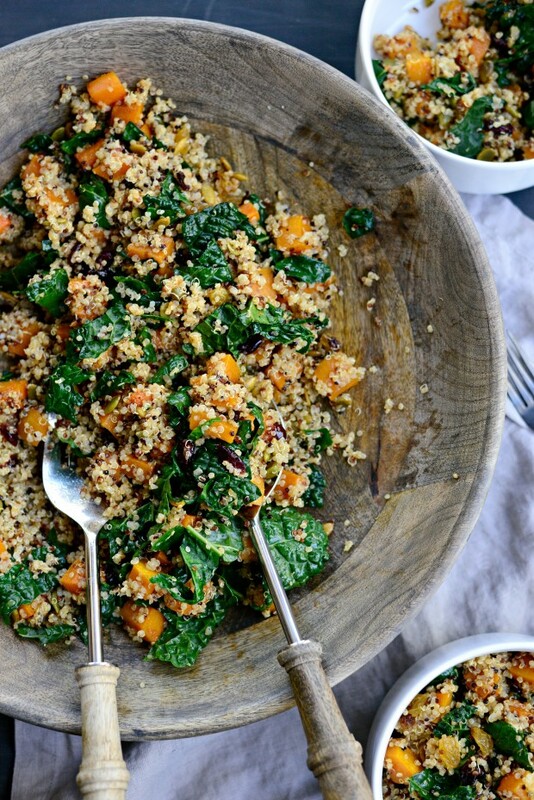 One of my favorite salad’s is to make is tabouli with quinoa but I don’t add mint just parsley and I add some chopped carrots. I love quinoa salad with avocado, garden fresh tomatoes, cucumber, and vinegar & oil. 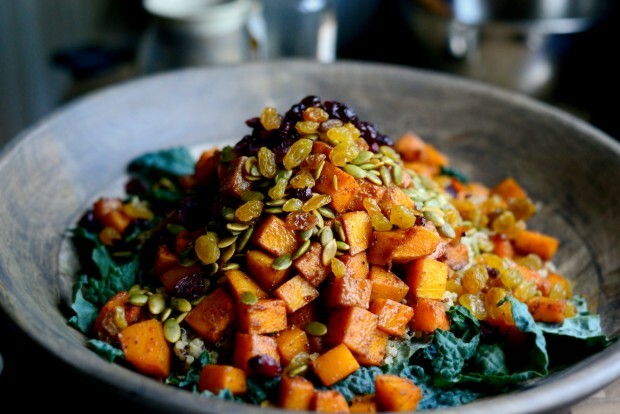 I love my salads with a grain like kamut, warm roasted squash and beets, and a dressing of avocado and lemon juice. 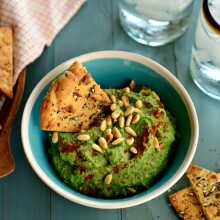 so delicious and simple! This looks amazing! Would it be good refrigerated and heated for later? my favorite salad this time of year is kale with toasted pecans, dried cranberries and diced honey crisp apple with white balsamic and olive oil dressing. Yum! My favorite salad combination is roast vegetables on top of grilled romaine hearts.